It’s important to understand when selecting a grade of stainless steel (SS) for your application or prototype, if the material needs to have magnetic properties or not. Before determining this, it is good to understand what makes a grade of stainless steel magnetic or not. Stainless steels are iron-based alloys particularly known for their generally excellent corrosion resistance. There are several different types of stainless steels. The two main types are austenitic (MicroGroup items: 304H20RW, 304F10250X010SL for example) and ferritic (automotive applications, kitchenware, and industrial equipment), each contains a different chemical arrangement. Due to this difference, ferritic stainless steels are generally magnetic while austenitic stainless steels are not. A ferritic stainless steel owes its magnetism to two factors: its high concentration of iron and its fundamental structure. Both 304 and 316 stainless steels are austenitic, when they cool, the iron remains in the form of austenite (gamma iron), a phase of iron which is nonmagnetic. The different phases of solid iron correspond to different crystal structures. In other alloys of steel, this high-temperature phase of iron transforms to a magnetic phase when the metal cools. The presence of nickel in the stainless steel alloys stabilizes austenite against this phase transition as the alloy cools to room temperature. This corresponds to a somewhat larger magnetic susceptibility than we might expect for other nonmagnetic materials, but is still well below what might be considered magnetic. Both 304 and 316 stainless steel possesses paramagnetic characteristics. As a result of these properties small particles (approx. 0.1-3mm dia sphere for example) can be attracted to powerful magnetic separators positioned in the product stream. 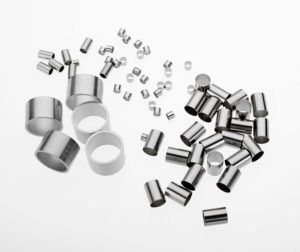 Depending upon their weight and specifically their weight ratio to magnetic attraction, these small particles will be held to the magnets during the production process. 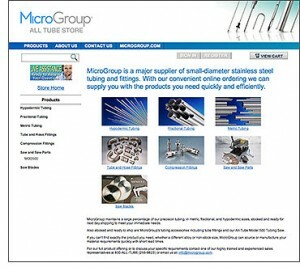 MicroGroup Launches ALL TUBE Online Store – Most Popular Stock Products Now Sold Online!